"We are filtering out the donor matches with an elevated risk of rare recessive paediatric conditions." Ms Morriss, an entrepreneur, gave a presentation on the company at the Consumer Genetics Conference in Boston last week. MCADD (medium-chain acyl-CoA dehydrogenase deficiency) prevents those affected from converting fats to sugar. It can be fatal if it is not diagnosed early. Luckily, in Ms Morriss's case, the condition was picked up in newborn screening tests. Genepeeks has formalised a partnership with a sperm bank - the Manhattan Cryobank - and has a patent pending on the DNA screening technology. The start-up benefits from the rapid pace of change in genetic technology. Indeed, six months ago, Genepeeks' founders decided it was able to use a superior system for DNA analysis (called "targeted exon sequencing") than the one originally envisaged - a result, says Anne Morriss, of falling costs and increased flexibility. For couples planning babies, other companies already screen one or both partners for genes that could cause disease if combined with a similar variant - so-called "carrier screening". One academic who studies the use of genetic technology commented: "This is like that, but ramped up 100,000 times." "Then we can look at that hypothetical genome and - with all the tools of modern genetics - determine the risk that the genome will result in a child with disease. We're looking directly for disease and not carrier status. For each pair of people that we're going to analyse, we make 10,000 hypothetical children." Anne Morriss added: "At this stage our clients won't be receiving any genetic information back. We're very much focused on the practical utility of helping prospective parents who want to protect their future kids, giving them the option of additional analysis to what is currently being offered in the industry." But the company's founders have plans to expand the screening beyond single-gene recessive disorders to more complex conditions in which multiple genes play a part. Indeed, going to the trouble of simulating thousands of digital children deliberately lays the ground for this: "[It's] impossible to get towards an accurate risk calculation in any other way," said Anne Morriss. And in a video produced by the company, Prof Silver says: "My hope for the future is that any people who want to have a baby can use this technology to greatly reduce the risk of disease being expressed in their child." To some, such a prospect might appear like a step towards designer babies - until now the preserve of science fiction literature and films such as Gattaca, which envisaged a future of genetic "haves" and "have-nots". 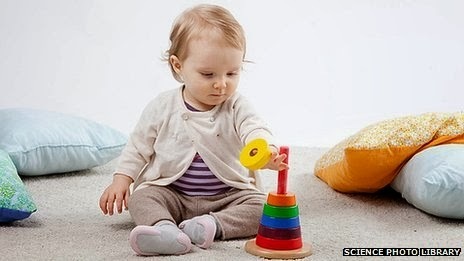 Bio-ethicists approached by the BBC said Genepeeks was a logical outcome of the increasing demand for more information when making reproductive decisions. However, some raised potential concerns about risk communication and the expansion of screening beyond rare single-gene disorders. But they suggested there were few, if any, regulatory barriers. One ethicist told BBC News: "The biggest question for me, just from the outset, is the understanding of uncertainty. Even people who have been doing genomics for years still have a hard time figuring out exactly what a risk for a particular genetic predisposition really means for a family. "Gene-environment interactions can lead to people either having disease or not having disease." Dr Ewan Birney, associate director of the European Bioinformatics Institute in Hinxton, UK, echoed the point: "It's good that they're focusing on the carrier status of these rare Mendelian disorders where it's potentially more clear-cut. That said, these things are more complex than they first seem," he said. "I'm sure the scientists appreciate that complexity. But when transmitting that complexity to everyday people, these things can sound more absolute than they really are." He added: "The thing I would want to stress here is just how complex this is. It's great that people are thinking of using this technology in lots of different ways, but our knowledge gap is very large." Risk communication to clients was, said Anne Morriss, "absolutely critical to anyone in this industry". "We have to be crystal clear about what we're testing for, what risks we're helping to reduce; that there's no guarantee you won't give birth to a sick child," she said. Prof Mildred Cho, associate director of the Stanford Center for Biomedical Ethics in California, raised questions over whether the sperm donor should also receive information about their genome gleaned from the screening process. "Unlike hair colour, occupation or family history - those are things, presumably, the donor already knows - the thing that's different about this that I see is it could create information that the donor doesn't already have. It also has implications for the donor's other biological family members," Prof Cho told BBC News. This week it also emerged that California-based consumer genetics company 23andMe had submitted the patent on a DNA analysis tool for planning a child.